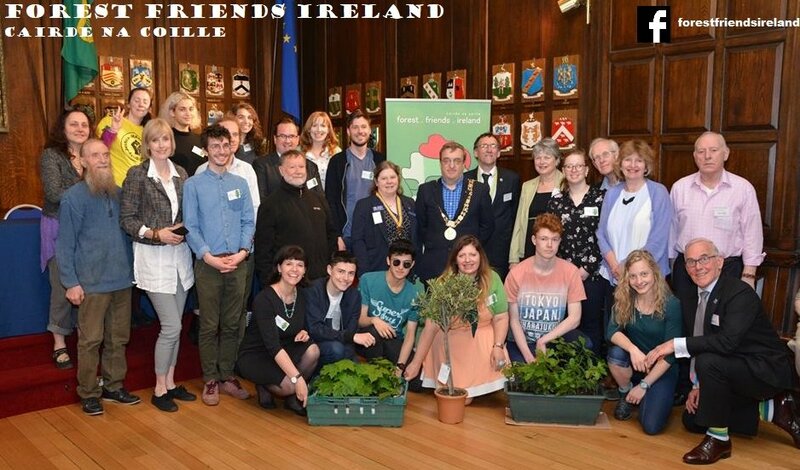 Forest Friends was set up initially as an Irish National Organisation. Initially membership was drawn from the Dublin Region. We are presently working on developing branches in different parts of Ireland and members in different regions are encouraged to form branches. Such a branch was set up in County Meath and a small tree nursery was developed there. However the active involvement of members wherever they are located, whether individually or in organisation, is strongly encouraged. The development of Forest Friends in Africa has been considerable, with separate branches established in Ghana and Senegal. Volunteers from Ghana have gained work experience in Ireland with return visits to Ghana and Senegal by Irish members. The Rain Forest of Ghana and the Mangrove Forests of Senegal are both under threat and members are actively involved in creating awareness among the population with regard to their protection. Members are also actively involved in tree planting programmes in these countries. The development of further branches at home and abroad are envisaged over the coming years. Additional volunteers are required to carry out this essential developmental work.